Towards the end of June, I started thinking about going to the KatRiders Rally in Robbinsville, NC. 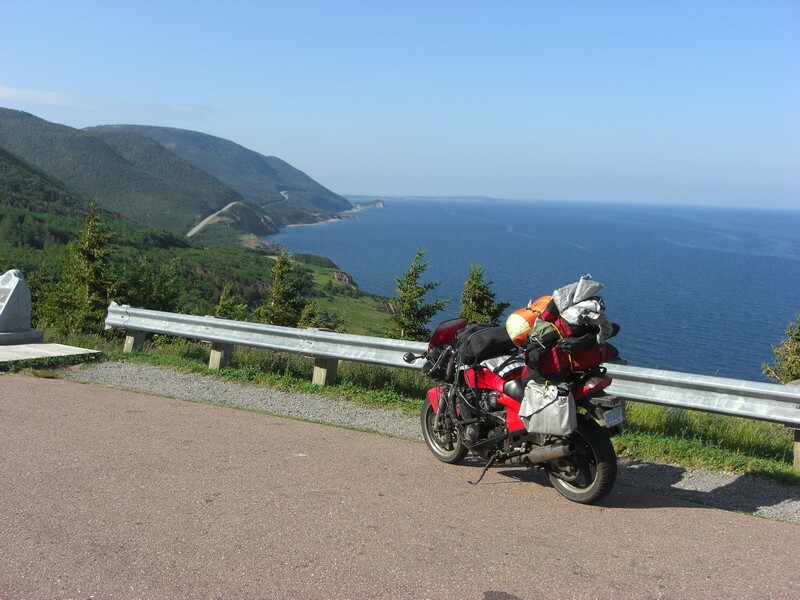 This quickly grew into an idea for a trip that would take me along the eastern coast into Canada and around the Great Lakes before heading home. To keep costs down, I would camp in a tent most of the way, except in a couple cities where I'd stay with friends. After some preparation, I left Wichita, KS on the afternoon of July 17, and returned 16 days later on August 2. On a long trip passing through a lot of cities, a GPS is amazing. I borrowed a Zumo 450, a waterproof GPS made for use on a motorcycle. It was a big help, and even took me on a couple interesting detours. Bring a proper rainsuit made for riding. A cheap vinyl rainsuit from Wal-Mart will become a tattered mess after a few hours or a day of highway riding in the rain. Remember that one part you thought was kinda worn, but you left alone since it was still working? You may want to replace it before leaving. Bring a variety of tools and lubes. Tools used for regular maintenance (like lubing/adjusting the chain) should be readily accessible without having to do a lot of unpacking. Seal up your ignition system well. I put RTV around the wires where they left the coils, and packed dielectric grease in the spark plug boots, but forgot to seal up the ignition module. WD-40 ("Water Displacement") comes in handy if you miss a spot. Take good care of your chain -- lube it when you stop for gas, and don't let it get too loose (but especially don't keep it tight either).